Koh Sirey is an island, but you would never guess it from a map and many probably have never heard of it. 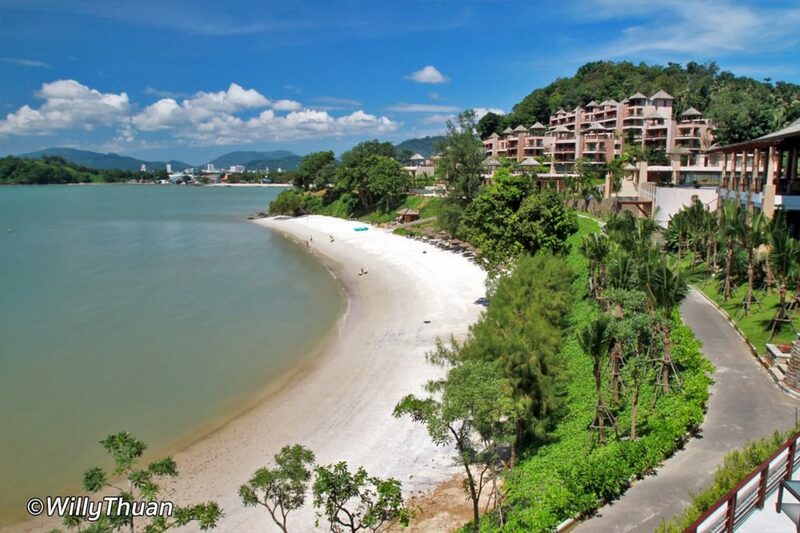 Connected to Phuket town by a very short bridge, this small piece of land doesn’t have many particular signs but this is where you will find the beautiful Westin Siray Bay Resort (Like many words translated from Thai, the spelling often differs). 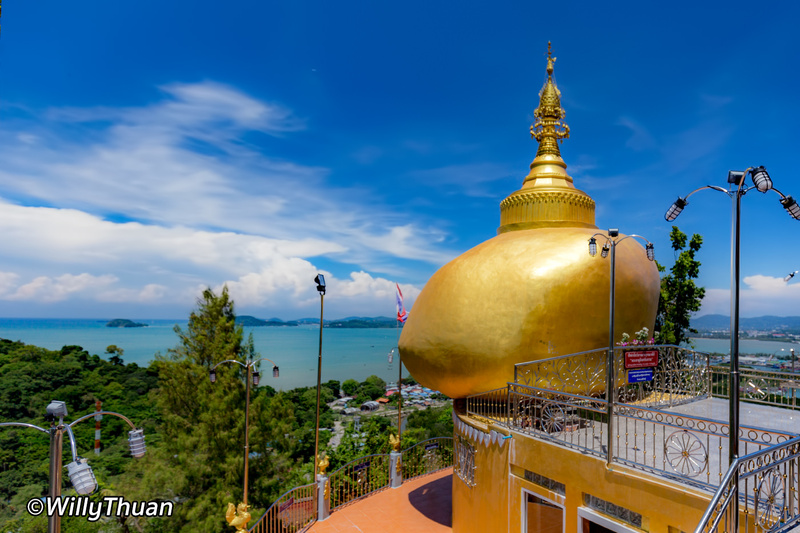 The small island is Koh Sirey only 20 km square and is visible from quite far with its Thai temple built at the top of a hill. Driving up there is easy, and a small road drives around the temple, surrounded by many small shrines dedicated people passed away. 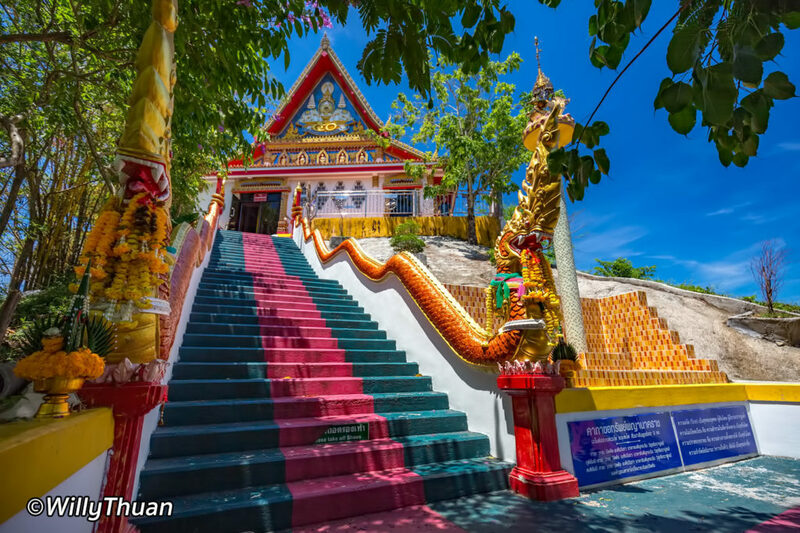 Park where you can and walk to the temple to enjoy a beautiful bird view on Phuket town. 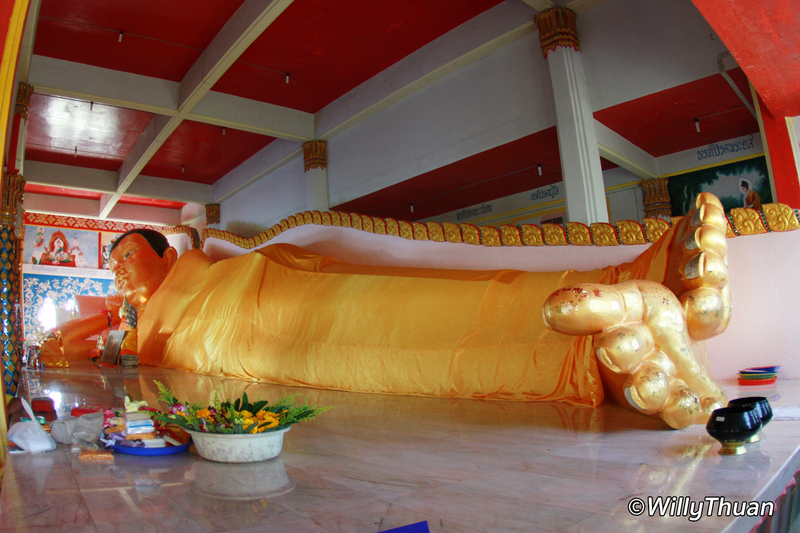 Koh Sirey temple also shelters a golden reclining Buddha which without being impressive (like the one at Wat Sri Sunthorn), is still as big as the temple. A note: the old guy standing by inside the temple will request a donation if you want to take a photo of the reclining Buddha, this is most unusual, and he is pretty grumpy, so better drop a small note in the donation box (It’s a nice gesture anyway). There are a few small privately owned properties on Koh Sirey, but the only real hotel is the beautiful Westin Siray Bay Resort. The resort features a large number of rooms and villas with amazing views on the bay. The beach is quite small and not suitable for swimming. Not far behind the resort is Plylaem Seafood, a decent seafood restaurant where you can get an affordable lunch before heading back to the mainland. 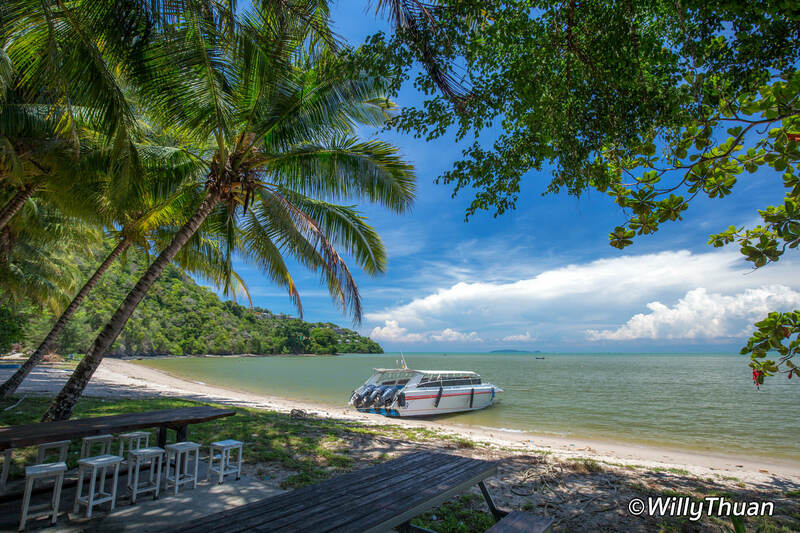 Beside the Westin Siray Bay Resort and the temple, Koh Sirey is home to a Sea Gypsy village also known as Chao Lay. It’s not very large and not impressive, but it has a certain charm, as it hasn’t changed since ages. People are rather poor, live and work under and outside their house. It’s still a good hideaway by the sea if you want to stop for lunch and try some local seafood. 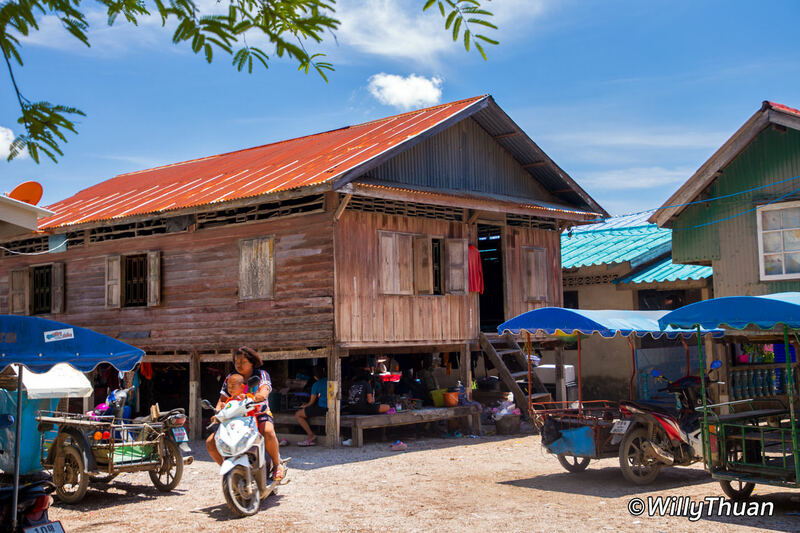 Besides the temple and maybe Chaolay gipsy village, there is not a lot to do on Koh Sirey. 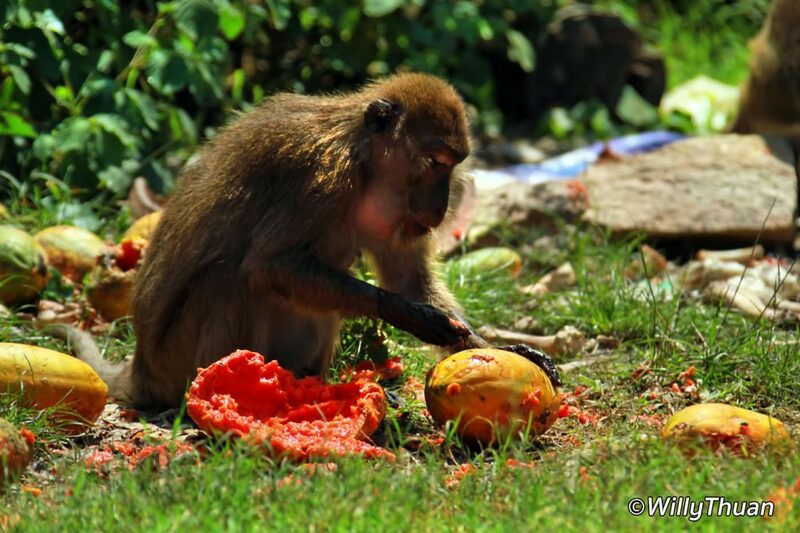 Don’t miss the many monkeys at the bridge, the area now clearly indicated by green signs, and the monkeys enjoy the fruits regularly given by the locals. It’s hard to resist this little guys, these are not yet as tamed as the one on Monkey Hill also in Phuket Town, and not as naughty as the ones in Phang Nga Cave (which also shelters a reclining Buddha). 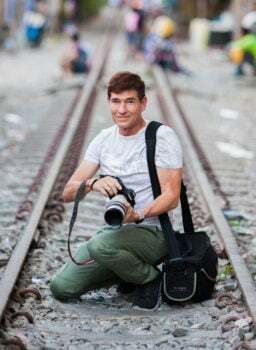 Koh Sirey is not really a destination in itself, but it’s an area of Phuket that deserves to be seen a bit more or if you you are like us eager to explore every corner of the island.